Phonographic Copyright (p) – Mischief Music Ltd. Copyright (c) – Mischief Music Ltd. Housed in a large gatefold case. Cover photograph used with kind permission from Harry Goodwin & Cult Art. This CD set is not authorised by Bob Dylan or his record company or management. Dylan does not appear on it. ℗ & © 2008 Mischief Music Ltd.
Another cheap attempt at cashing in on the success of Bob Dylan's Theme Time Radio shows. 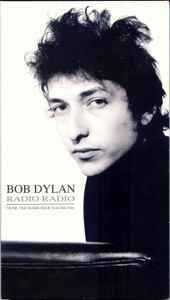 While the original shows centered around Dylan's unique presentation, his voice cannot even be heard on this release (or similar ones). Somebody just took some copyright-free recordings (older than 50 years) and pressed them on cd. These songs were indeed played on the Theme Time shows but here they appear in random order, without context and without any connection to Bob Dylan who appears on the cover.